Hello, fellow book junkies! Well, if I had to sum up this month’s reading experience in one word, it would be “eclectic.” Genres spanned from contemporary LGBTQIA to graphic novel to classic Indian mythology to adult fantasy-horror. Most of the books were quite good, and one has entered the golden category of personal favorites. I’m going to start this review with a little secret. When I was a child, the vast majority of books I read were written by men. That wasn’t a conscious decision, of course, just based on what was available. When I started writing stories of my own, I caught myself constantly writing about male progatonists. It dawned on me that that was kind of strange since I am female, so I decided to give my literary brain a reboot, and I switched reading books by females about females, almost exclusively. For the most part, I think it worked. Sometimes, as I’m writing, I still fall into gender stereotype traps, in which case deliberately subvert them, i.e., making the wise mentor female. After her mother’s suicide, half-Taiwanese, half white Leigh Chen Sanders travels to Taiwan to connect with her Taiwanese roots at last. The scenes set in Taiwan are full of atmosphere and intrigue, magic and emotion. A woman that Leigh meets there, Feng, is a fascinating character that I think will stay with me for a long time. Yes, folks, it’s time for another stroll down TBR lane to see which books remain on the list and which will go. 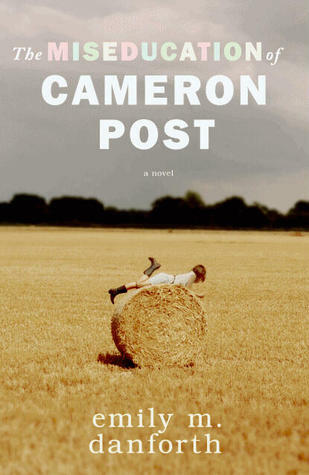 Strangely, every book that ended up on this week’s TBR Hole list has a terrible cover. Except for Challenger Deep. I think. 1. Go to your Goodreads to-read shelf. 2. List books in ascending order (oldest first). 3. Take the first 5 (or 10 if you’re feeling adventurous) books. 4. Read the synopses of the books. 5. Decide: keep it or should it go? 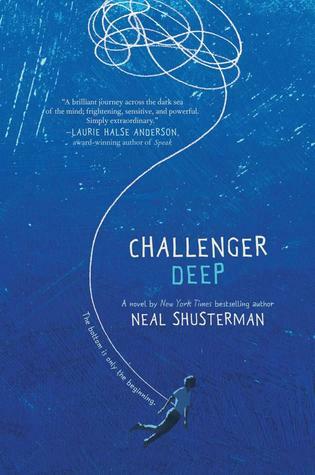 I liked Shusterman’s book Unwind, so I thought I’d give Challenger Deep a try. 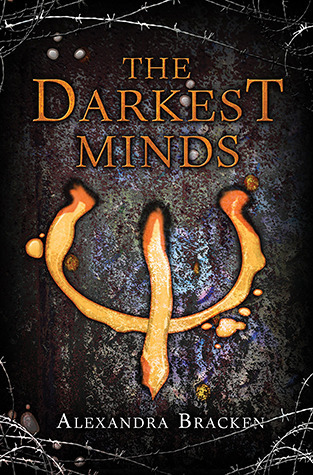 Unlike Unwind, which is YA dystopia, Challenger Deep is a YA contemporary that explores mental illness through the viewpoint of a brilliant boy absorbed in the fantasy that he lives on board a ship headed for the deepest point on Earth: the Marianas Trench. Jeremy Johnson has lost his mother and now hears the ghost of Jacob Grimm (one of the Grimm brothers) speaking to him. 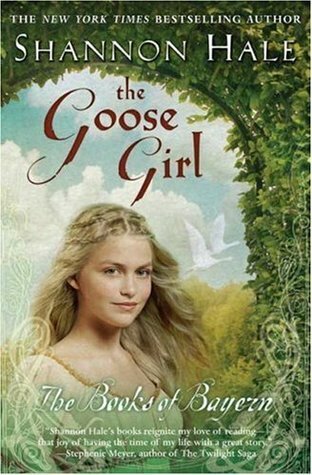 The story is told from the first person POV of Jacob Grimm, who also protects Jeremy from evil. Interesting premise. Readers seem to either love it or hate it. I must have heard something really special about this book if I added it despite the fact that it’s a romance–which I don’t normally read. The ending is supposedly a real tear jerker. Maybe I’ll save it for when I’m in the mood for a good cry. Oops, I forgot I took a look at this one not too long ago. 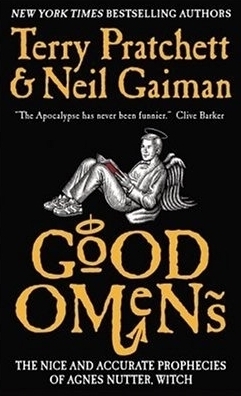 I adored Neil Gaiman’s The Graveyard Book, enjoyed Anansi Boys, and appreciated most of Neverwhere, but when I recently picked up Good Omens I found I just wasn’t in the mood for the “wink, wink, nudge” writing voice. This is one of those books that always has a song reference going. The main character is Aden, a high school senior with a beautiful voice who’s looking to get a solo gig. 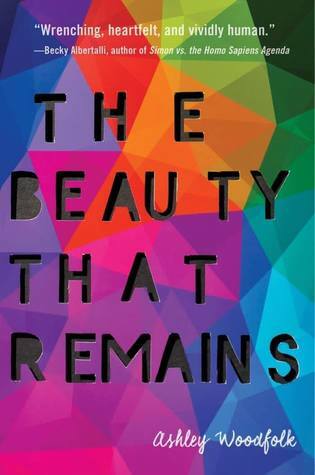 Heavy themes of grief, teen pregnancy, and drug addiction abound, but they’re strangely glossed over. One of the most compelling aspects of the story is Aden’s struggle to connect with her Jewish identity, which she lost as a little girl when her mother passed away. 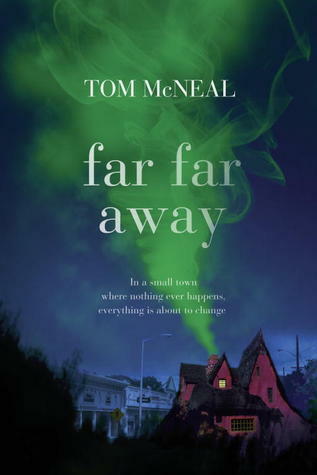 Fair warning: You might want to be in a strong emotional place before plunging into this book about three characters dealing with grief and loss. Music is a central theme–Sasha is a music blogger; Logan is a songwriter. 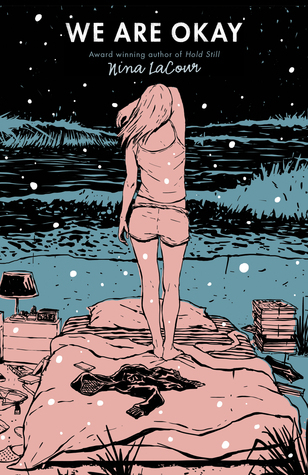 And Woodfolk’s lovely, poignant writing will appeal to fans of Nina Lacour and Jeff Zentner. This book totally captures what it’s like to be in a band with friends. Okay, so it’s also littered with F bombs and explicit sexual descriptions that don’t add much to the story. That being said, the adventure this music-loving band of jazz camp dropouts goes on is really entertaining. Jesse Andrews, of Me and Earl and the Dying Girl fame, is a genuinely funny writer who aptly describes the interactions and special chemistry of different personalities in a band, kids who are in the trenches together as musicians but who also have complicated friendships, emotions, and desires. Nick, a guy in a band, asks Norah, daughter of a famous music producer, to pretend to be his girlfriend after his ex brings a date to his gig. Half-assed pick-up line aside, Nick and Nora spend the entire night hopping to different venues in New York City and forming a deep connection. Except, is it really that deep? 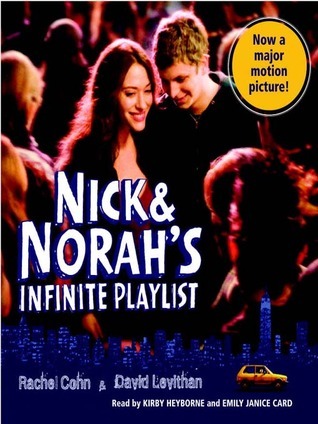 The 2008 film adaptation starring Michael Cera and Kat Dennings suffers from the same weakness as the book in that Nick and Norah don’t really talk to each other that much. Still, the music is a great factor, and so is the New York City setting. Carmen is a violin virtuoso raised by a stage mom who was once a rising opera star but whose career was cut short when she became pregnant with Carmen. 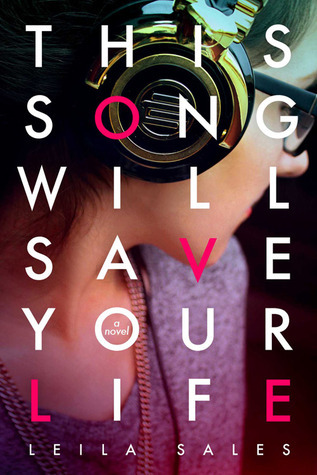 Forging through the cutthroat world of music competition, Carmen unexpectedly bonds with her biggest competitor, Jeremy, both of whom live, breathe and adore music. As a main character, Carmen can be a bit wishy-washy, but her scenes with tutor Helen are super good. 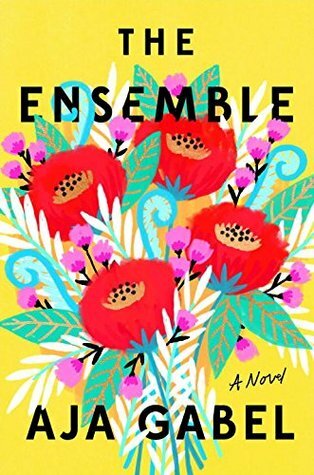 Though this isn’t technically a YA book, The Ensemble is a glorious celebration of music and enduring friendship. Over a 15-year period, starting when they are young, the story follows four high-level classical musicians who perform together in a string quartet. Shades of Mozart in the Jungle. This story about humans and alternative dragons who can take human form, has a strong plot, smart writing, and super unique world building. 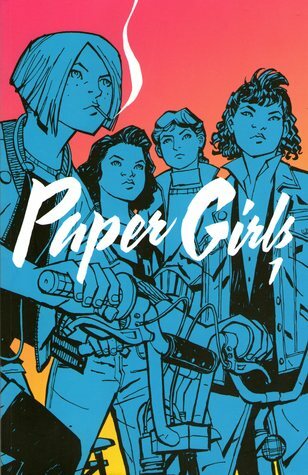 Plus, all the main characters have a growth arcs that are satisfying to read about. 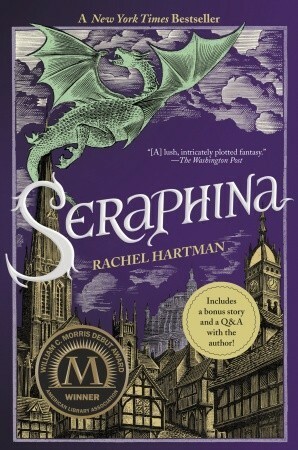 The main character is Seraphina, an unusually gifted young musician hired to work at the palace as a court musician. Though this isn’t totally centered around music, science-y Haitian girl Natasha and Korean-American boy poet Daniel meet in a record store, Natasha wears earbuds a lot of the time, they go on an awesome karaoke excursion, and both are music lovers, so I’m including it on the list. Introvert Elise has always felt like an outsider, and music is her escape. At a warehouse party she finally meets people she can connect with and discovers her love of DJ’ing. Serious themes but also lots of humor. Books with super long titles sort of whisper, “I am going to be so well-written. Just wait and see.” But is it true? Are YA books with longer titles better? Let’s find out. 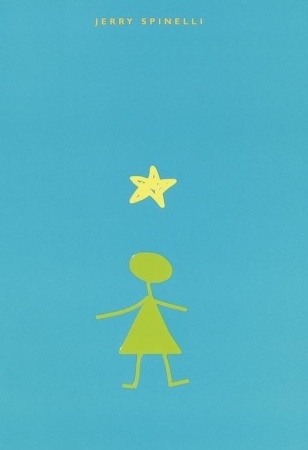 Here’s a list of fifteen YA books with titles of six words or more, each rated from 1 to 5 stars. Holy royalty checks, Batman. Did anyone notice that on Goodreads The Perks of Being a Wallflower has over ONE MILLION ratings? A million. I don’t think I’ve ever seen a book with that many. How could I possibly give this classic book only 4 stars? But I did. Oh, and A.S. King? Her books are so interesting, smart, cool, and different. I love them all. Okay, so there are lots of excellent reads in this six-word title group, but none with five-stars, so let’s see how 7-word titled books fare. . . Okay, not bad. The First Fifteen Lives is so well-written. Technically, it’s adult fiction but feels like a bit of a crossover. Still no five-star books. Let’s move on to YA books with eight-word titles. All three of these books are so enjoyable. 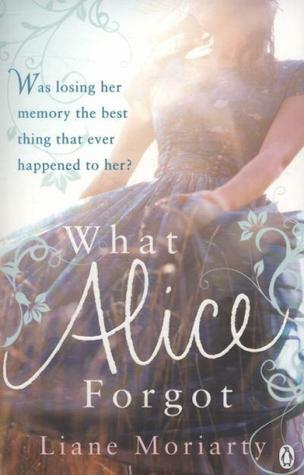 Who can resist a book with the gorgeous and unusual title of The Strange and Beautiful Sorrows of Ava Lavender? And that cover! Alas, neither of these books earned five-stars, so it’s on to the nine-word titles. 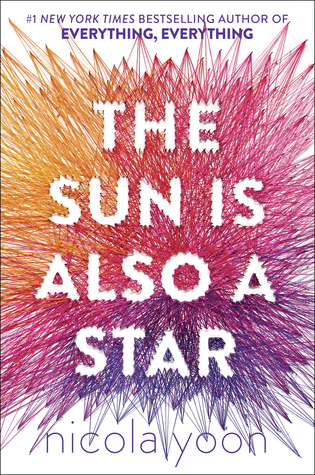 Only one YA book (that I could find) had nine words in the title–which is probably my favorite title, by the way. 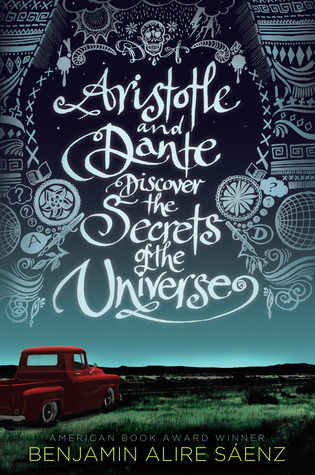 Aristotle & Dante Discover the Secrets of the Universe–it’s a magical title! I wish I liked the book more. 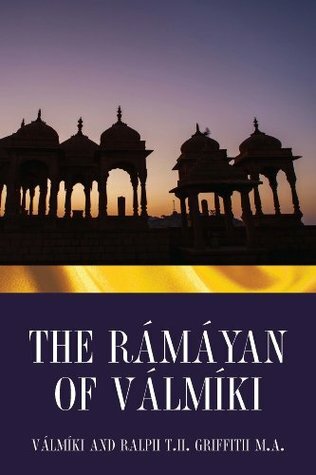 The writing is lovely and philosophical, but the plot meanders a bit. And now, for the grand champion, the longest-title on the list. No other books had ten-word or even eleven-word titles, but this one, oh, this one. Yes, a twelve-word title, and a stunner. Wow! Those were all long titles. All combined, the titles of these fifteen books add up to over 100 words! Something else I noticed was that 50% of them include the name of a character. I wonder if that’s a long-title thing. The search for long-titled YA books continues. 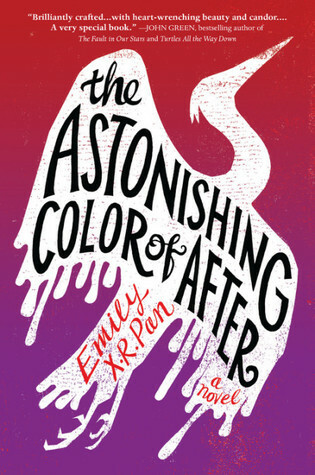 What are some of your favorite YA books with titles of six words or more? 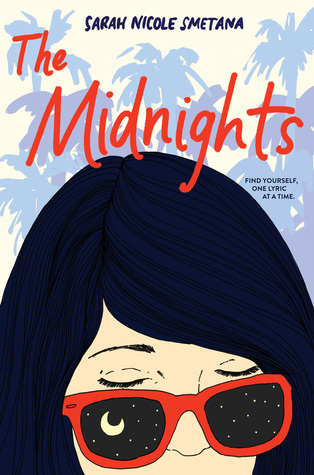 Thanks to the beautiful book blogger with exquisite reading tastes, Cover2CoverMom, for this awesome book tag because, well, reflecting on books and movies might possibly make me happier than not having to wake up for work in the morning. Illluminae by Amie Kaufman. It’s thrilling and entertaining. 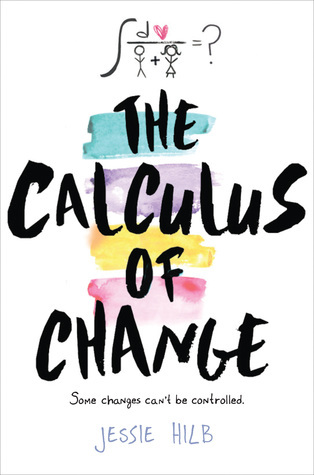 The hardcover version is super creatively presented through e-mails, case notes, diagrams, etc., but let me tell you a little secret: the audio book version is amazing, too. I worried it might not capture the unique storytelling of the hardcopy version, but the audio book was GREAT. No wonder it won the 2016 Audie Award for Multi-Voiced Performance! 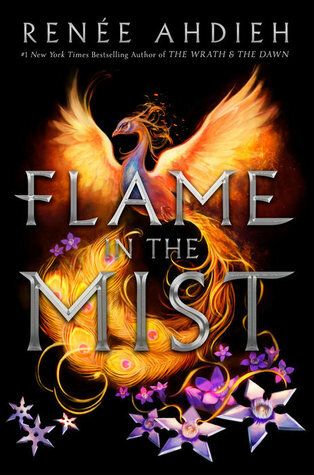 I’m excited about Renee Ahdieh’s newest book, Flame in the Mist. 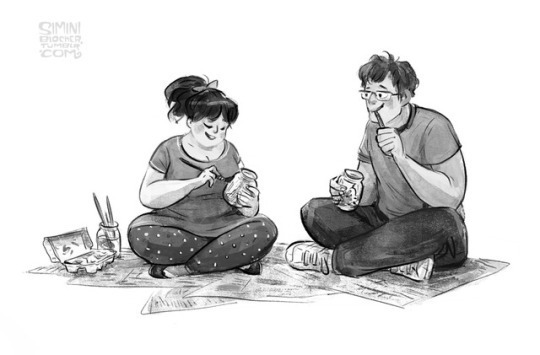 Her writing is lovely and the story takes place in Japan, so. 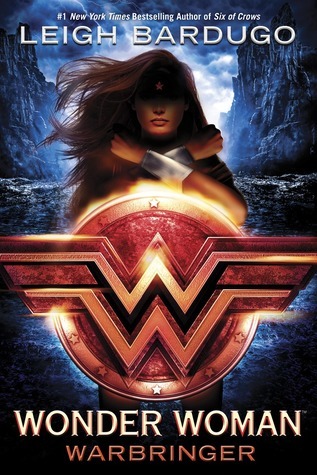 . .
Wonder Woman: Warbringer by Leigh Bardugo!!! 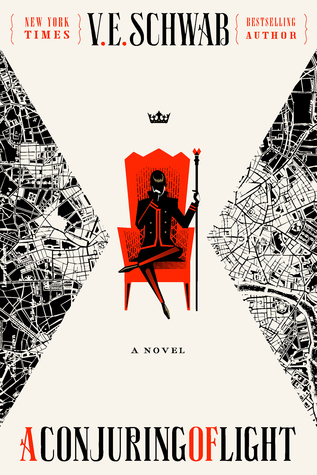 Bardugo KNOWS how to write action and adventure. Her female characters are so strong–I’m thinking of Nina and Inej from Six of Crows. Yep, surely Bardugo will knock it out of the park with Wonder Woman. Uh-oh. Okay, this is kind of like a kid being disappointed because Santa brought a shiny new bicycle rather than the motorized scooter the kid was expecting, but I have to say my biggest disappointment might have been A Conjuring of Light by V.E. Schwab (gasp! my FAVORITE AUTHOR?!). Don’t get me wrong, I enjoyed the book immensely, but the disappointment stemmed from how a couple of huge plot points raised in the first book–that I was dying to see resolved–were glossed over in the finale. Otherwise, A Conjuring of Light was fantastic. Because I was intrigued by the story and atmosphere of the movie Carol starring the Cate Blancett and Rooney Mara (probably two of the best actresses working right now), I wanted to read the book it’s based on. The The Price of Salt. 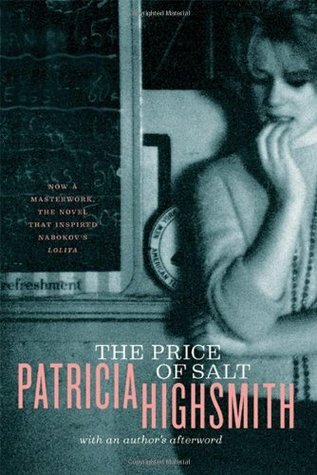 gave me one of my favorite new (well, from the 1950s) writers, Patricia Highsmith. Her writing is flawless. I loved every word of The Price of Salt. 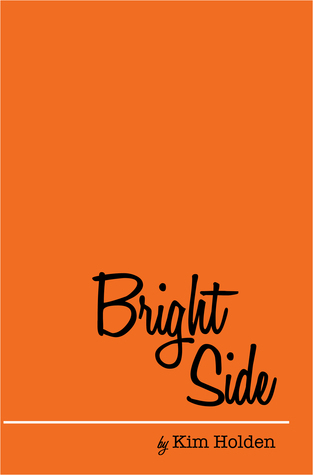 Cassie’s love interest–sweet, geeky, sincere Reid–from The Upside of Unrequited by Becky Albertalli. I have a soft spot for awkward, true blue boys. EVERY character in Laini Taylor’s Strange the Dreamer . Seriously, you guys, you have to read this one. The world-building will whisk you away. 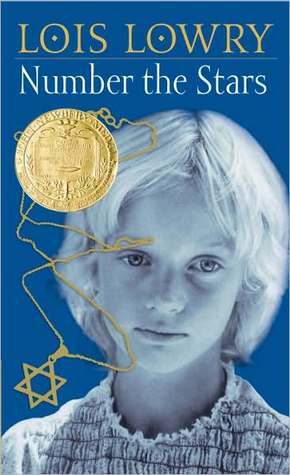 Number the Stars by Lois Lowry definitely made me cry. There were truly noble characters and powerful, moving moments. I definitely wiped tears from my cheeks as I read. 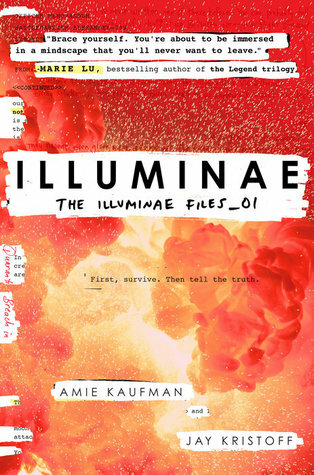 Shocker: I don’t read a lot of happy books, so back we go to Illuminae. It made me happy because it had a fresh concept and was utterly entertaining. Wonder Woman!!!!!!!!! The scene when Diana bravely charges into No Man’s Land to draw enemy fire so the others can cross fires me up every time. Did you know the movie studio wanted director Patty Jenkins to REMOVE THIS SCENE ENTIRELY? It is the BEST SCENE IN THE MOVIE. Thank God Jenkins stuck to her guns. This year has been so crazy busy I’m happy to have written ANY reviews! 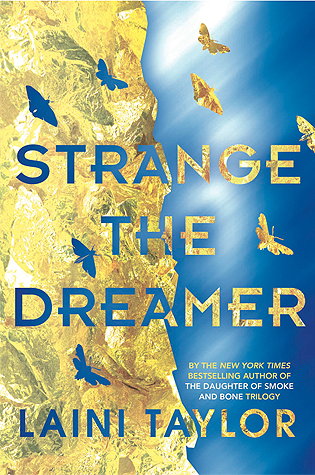 The blue and gold cover of Strange the Dreamer by Laini Taylor is everything. What a gorgeous color combination. 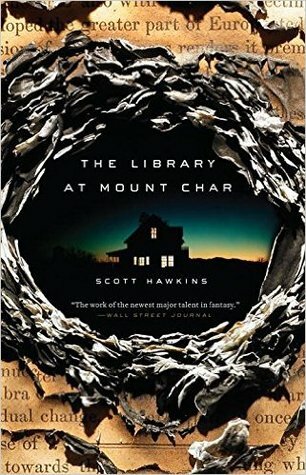 I already liked it from the pictures I’d seen, but when I held the book in my hand, the gold shimmered and seemed three-dimensional. Beautiful! 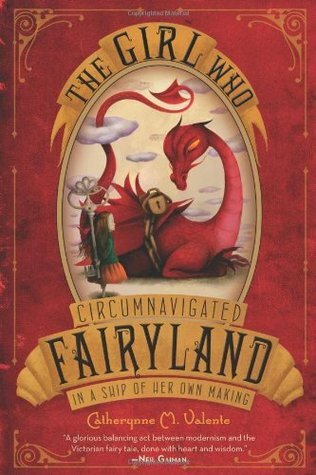 The Girl Who Circumnavigated Fairyland in a Ship of Her Own Making by Catherynne Valente-Must read this if for no other reason than it has the longest title I’ve ever seen. 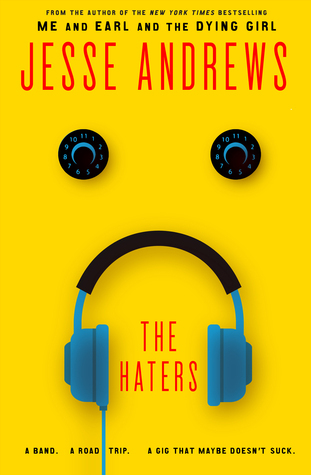 The Hate You Give by Angie Thomas – Because EVERYONE is talking about it. Fahrenheit 451 by Ray Bradbury – I can’t believe I didn’t get to this in high school–sorry, Mrs. Bernard! Alanna: The First Adventure (Song of the Lioness #1) by Tamora Pierce – I haven’t read any Tamora Pierce yet and really want to!